Family dinner doesn’t have to be complicated or a holiday spread to gather the family together to share a meal and good conversation. Easy to make meals that can be on the table quick are perfect for family dinner nights. How often does your family eat dinner together? 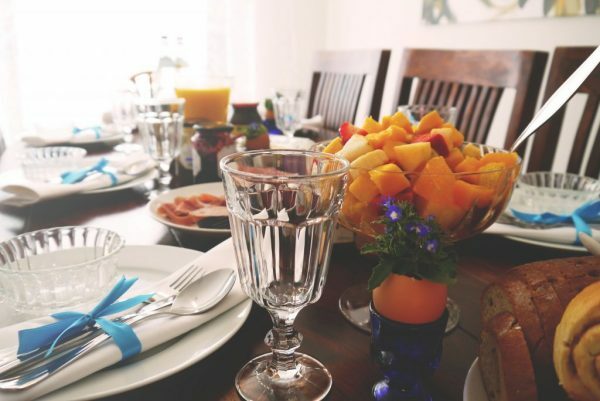 With today’s busy lifestyles, it can be hard to meet at the dinner table to share that meal and catch up on the day’s events. Growing up, it was easier to have dinner as a family in my house since both of my parents worked, I started dinner and when they came home we’d finish it as a family and eat together. Once I was married and had children, I continued that family dinner every night with them. The girls busy lives as teenagers still allowed us to eat dinner together most nights but always on the weekends. Fast forward to now, my girls have their own lives and we try to get together a couple of times a month for family dinner, whether it’s at home or in a restaurant. I love the family dinner – it’s great to catch up, laugh, plan, and see each other. Have you heard of Family and Consumer Science Day? I hadn’t before a wonderful subscriber (and teacher) shared the information with me. I love this idea. Let me tell you a bit about it. Since 2014, more than 400,000 people have committed to “Dining In” on Family & Consumer Sciences (FCS) Day. That’s a lot of family dinners, ya’ll! The American Association of Family and Consumer Science (AAFCS) honors founder Ellen Swallow Richards by celebrating FCS Day on her birthday each year. Through this initiative, AAFCS provides information, tools, and research on the benefits of families preparing and eating healthy meals together. This year, the initiative will have a special focus on the emotional and social aspects of family mealtime. What happens on FCS day? By joining the event, you are committing to “dining in” (device free) on December 3 or sometime during that week. You can join here and get more information on how to participate. 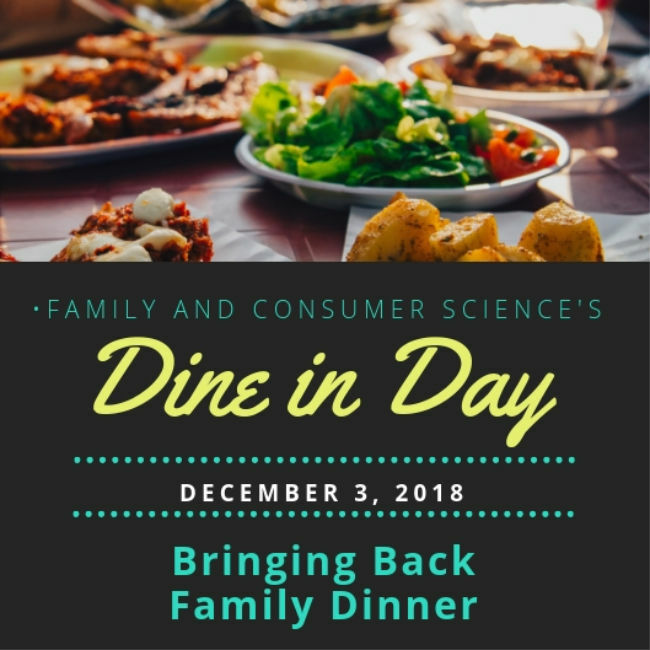 It’s a free event, and they would love to see selfies of you enjoying family dinner if you participate, use the #FCSDAY #healthyfamselfie when you share on social media. Help promote FCS day by changing your your Facebook profile photo to the I’m “Dining In” logo. Or, add our FCS Day Twibbon to your Facebook or Twitter profile photo. There are other ways to show your support on the website. Research shows that the everyone in the family can benefit sharing a meal together as a family. 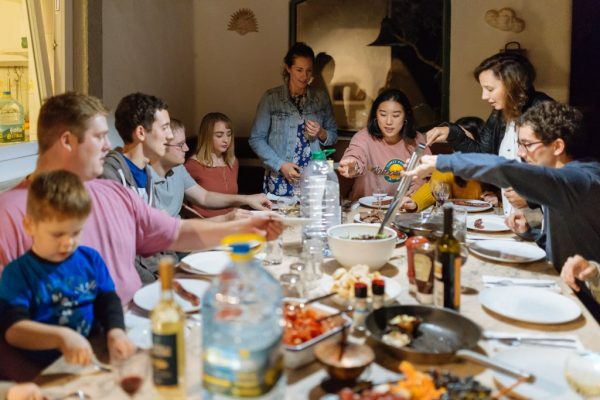 Having better nutrition, improving family communication, fostering family traditions, and teaching life skills, such as meal planning, budgeting, and food preparation all are wonderful benefits of eating together. A good goal can be to start having family dinner once a week, and encouraging everyone to assist in the preparing of simple and healthy meals. Also, make it a rule to be device free during family dinners – no excuses, everyone should put down their devices and enjoy each other. To help you get started with meal planning, here are some simple and delicious meal ideas. You know I’m all about simple, quick, and yummy food! I would love to know if you’re committing to “Dine in” on/or during the week of December 3rd! I love that idea, it so important for families to spend time, laughing and enjoying each others company. Life moves to fast lately and people forget about their loved ones. We will be dining in on December 3rd 2018. Awesome Christine! I agree, life is too short and we should take time to enjoy with loved ones.